Moses later in his career with Philadelphia. Wallace Moses (October 8, 1910 – October 10, 1990) was a right fielder in Major League Baseball. From 1935 through 1951, he played for the Philadelphia Athletics (1935–41; 1949–51), Chicago White Sox (1942–46) and Boston Red Sox (1946–48). Moses batted and threw left-handed. He was born in Uvalda, Georgia. Moses started his professional career with Galveston of the Texas League, where he batted .316 in 1934. He debuted with the Philadelphia Athletics in the 1935 season. He batted over .300 each of his seven years with them, with a career-best .345 in his sophomore year. Moses had by far his most productive season in 1937, when he hit career-highs in home runs (25), RBI (86), runs (113), hits (208) and doubles (48), batting .320 with 13 triples. In 1939, he missed a World Series opportunity when his trade to the Detroit Tigers for Benny McCoy was nullified by Baseball Commissioner K.M. Landis. The verdict made several Tigers free agents. Through years of last place finishes with Philadelphia, Moses had little chance to display his speed on the basepaths. But in 1943, with the Chicago White Sox, he posted a career-high 56 stolen bases and co-led the American League in triples (12). A strong-armed right fielder, he led the AL in putouts (329) in 1945. In the 1946 World Series with the Boston Red Sox, Moses hit .417 (5-for-12) and tied a WS record with four hits in a game. He finished his career with the Athletics in 1951. In a 17-season career, Moses hit .291 with 89 home runs and 679 RBI in 2012 games played. He added 1,124 runs, 2,138 hits, 435 doubles, 110 triples and 174 stolen bases. A patient hitter with a good eye, Moses collected a 1.80 walk-to-strikeout ratio (821-to-457). 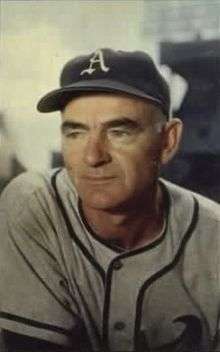 He also made the American League All-Star team in 1937 and 1945. Following his playing career, Moses was a coach for the Athletics (1952–54, the A's final three seasons in Philadelphia), Philadelphia Phillies (1955–58), Cincinnati Reds (1959–60), New York Yankees (1961–62; 1966) and Detroit Tigers (1967–70), serving as both a first base coach and hitting instructor. Moses died in Vidalia, Georgia, just two days after his 80th birthday. Moses was the last 20th century Athletics player with a 200-hit season. He had 208 in 1937. 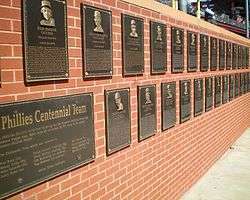 Sixty-five years later, Miguel Tejada collected 204 (October 5, 2002).